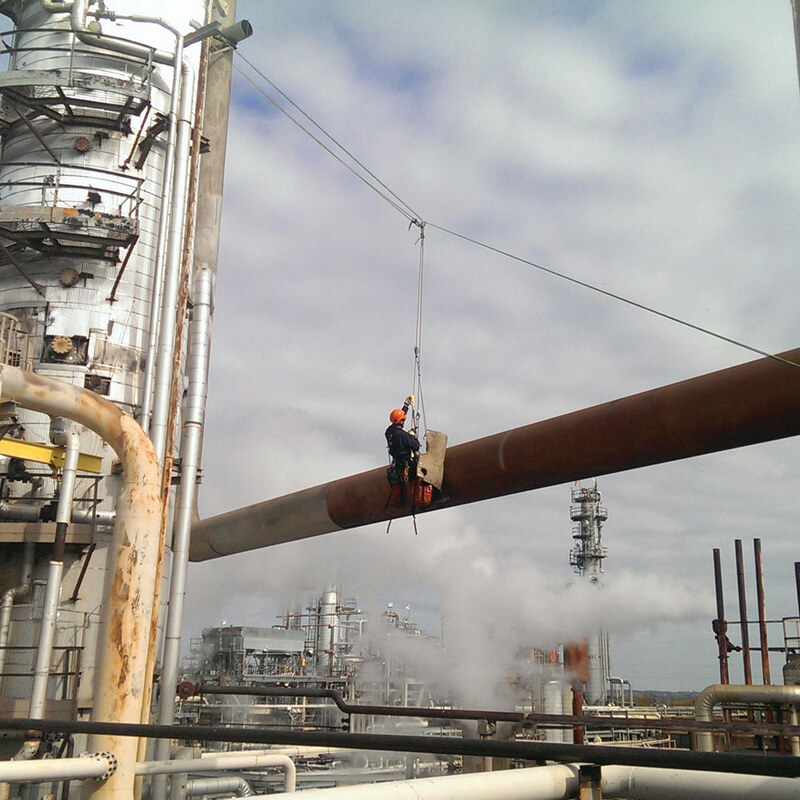 MISTRAS Rope Acess Oil & Gas technicians provide rope access inspection, maintenance, and repair services for power plants, oil refineries, processing plants and off-shore platforms. 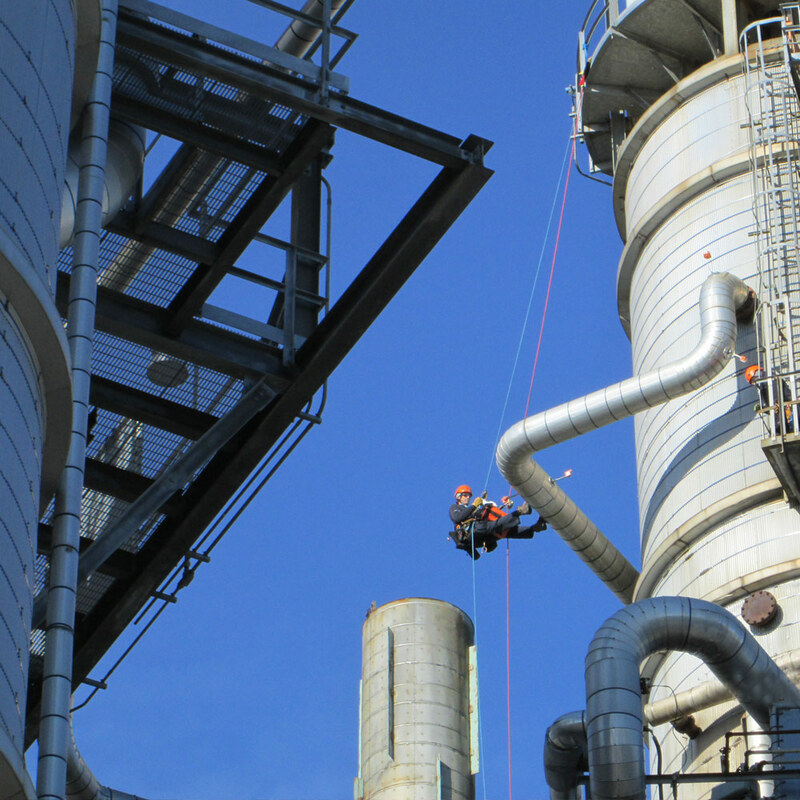 By using rope access instead of more traditional means like scaffolding, lifts and cranes, plant operators can realize significant savings. Along with our specialized inspection partners, MISTRAS Rope Access teams provide traditional and advanced inspection services. Traditional inspection methods include visual, ultrasonic, liquid penetrant, radiography and magnetic particle testing. Rope access is also a very cost effective way to deploy advanced inspection methods like acoustic emission and automated ultrasonics. MISTRAS deploys multi-disciplinary teams to complete a wide variety of projects that include welding, pipe-fitting, coating, electrical, and insulation. Rope access is also compatible with heavy lifting operations. The ease and efficiency of deploying rope access technology allows crane lifting operations to proceed unimpeded by scaffolding. MISTRAS Rope Access also has an exceptional safety record with incident rates well below general industry norms. Contact MISTRAS to explore how we can lower your costs, improve your plant safety record, and deliver exceptional service.